Reliable all-year-round heating and cooling at a sensational price. Say sayonara to sweaty, sleepless nights thanks to the Kogan Window/Wall Air Conditioner (3.5kW, Reverse Cycle). This powerful unit is well-equipped to rapidly cool larger living spaces, and since it’s a reverse cycle system, it’ll even keep you warm and toasty during the colder months. 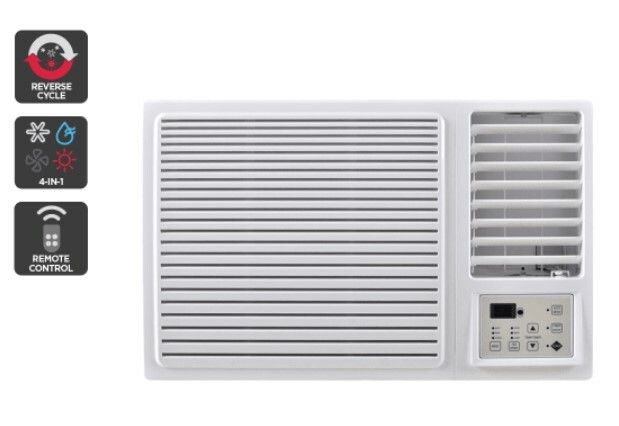 If you’re short on floor space, or simply looking for a low-cost, year-round heating and cooling solution, the Kogan Window/Wall Air Conditioner is the model for you.